GERMANY’S ECONOMY MINISTER has rejected calls by Greece’s new prime minister for Berlin to pay reparations for World War II damages by the Nazis, insisting the issue was concluded 25 years ago. “The likelihood is zero,” Sigmar Gabriel, who is also Germany’s vice-chancellor, said at a gathering of his Social Democrats in Brandenburg state near Berlin. He was responding to Greek Prime Minister Alexis Tsipras, who said in parliament late Sunday that his country had a “moral obligation” to claim payment from Germany for a forced wartime loan and other reparations. Berlin rejects such requests nearly 70 years after the end of the war, during which the Nazis occupied Greece for four years and forced the the country’s central bank to give the Third Reich a loan that financially ruined the country. Figures from some sources in Athens put the amount still owed by Germany at around €162 billion, or more than half the level of debt that Greece is currently struggling with. Gabriel said that a line had been drawn under “all these issues” in legal terms, “at the latest” when the two former Germanys signed a treaty with the Allies in 1990, which is considered the formal end of World War II. “There’s no sense continuing down this road,” he added. A finance ministry spokeswoman told reporters that there was nothing new to add from the German side on the issue. 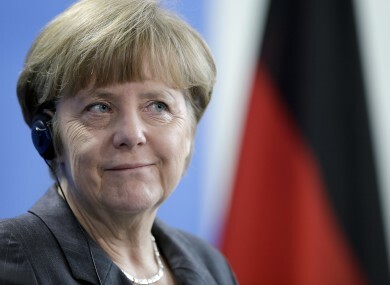 Email “'No chance': Germany won't pay €162 billion 'owed' to Greece since WWII”. Feedback on “'No chance': Germany won't pay €162 billion 'owed' to Greece since WWII”.